Often the times when we learn the most, or grow as a human being, are when we are way, way, WAY out of our comfort zone. As well as practicing your acting craft, participating in short courses and workshops are an opportunity to meet like-minded people, learn new things and of course a chance to do what you love. We’ve compiled a list of some of the best short acting courses around the world, perhaps you’re thinking about travelling and might want to check out some acting studios while you’re at it, or scroll down to find your hometown and see what’s on near you. Here is our list of best short acting courses in Sydney. For more information and resources check out Sydney acting resources. I’m sure you’ve heard of this one. NIDA is the leading drama school in Australia, and along with it’s world renowned full-time course, they offer a number of short courses. NIDA offers a range of short courses and experiences across the spectrum of dramatic arts disciplines including Acting, Presenting, Music Theatre, Directing, Writing, Design, Technical Theatre and Stage Management. Whether you’re looking for a taste of something you’ve always been interested in, or you are ready for a rigorous approach to prepare you for a career in the arts, NIDA have flexible training options to suit your level and interest. Their programs are designed to reflect current practices and trends in the industry, drawing on the expertise of active, passionate and highly-skilled practitioners. NIDA short courses are geared to different levels, Beginner, Core Techniques, Applied Techniques and Advanced Techniques. The Advanced Courses include Residencies, and Studio Classes, which involves an application and selection process. NIDA short courses for adults run regularly in Sydney, Brisbane and Melbourne and periodically across Australia. If you are interested in checking out NIDA’s full time course we recently put together a guide on how to get into NIDA. Hot Tip! Book 4 weeks before the course start date and receive a 10% earlybird discount. The Hub Studio hosts a variety of fantastic courses and masterclasses in Chippendale, Sydney. The Hub runs a range of weekly professional development classes for both Professional Members and Non-Members. Their programs are run with top acting coaches both national and international in varying short course formats. We’ve worked with the Hub a number of times and can’t recommend them highly enough. Not only are Hub Studio members booking more work and staying connected; but they’re also able to expand their knowledge of the craft and build a network and support base in a safe and professional environment. Kevin Jackson, Pip Edwards, Philip Quast, Luke Ford, Miranda Harcourt, Darren Gilshenan, Lyn Pierce, Ian Sinclair and more, hold classes across Film, Theatre, Body, Improvisation, Voice, and Professional Development. Keep checking in to the website, there’s always new courses, masterclasses and workshops popping up. Also, the Hub is one of the most affordable training centres in town. We are big fans of Les Chantery. We have interviewed him for our podcast series and have featured him multiple times on the site in the past. Les has established an incredible reputation in the industry for helping actors nail screen tests and self tape auditions. If you are looking to refine your screen acting I would look no further than his masterclasses. His main course runs over four weekends and focuses on nailing auditions. If you’re an actor in Sydney, it’s almost a right of passage to do one of his masterclasses. Do yourself a favour and book in a session with Les Chantery. Screenwise was established to “bring out the screen actors of tomorrow”. Much like the others, they employ working industry experts to conduct their courses – Actors, Directors, Casting Consultants and Technicians. Short acting courses at Screenwise run for 6 weeks. Classes are one evening per week and 3 hours in duration. On offer is Screen Acting Beginners, Intermediate & Advanced, to suit your level of expertise. Screenwise also host various short acting courses which run intermittently throughout the year and focus on specific skills sets for actors. Sydney Drama School presents a range of flexible and exciting short acting courses, intensives and masterclasses available to aspiring and experienced adult actors. They offer term-based short courses which typically run for six weeks throughout the year, covering Acting for Screen, Acting Technique, Actor’s Gym, TVC Casting Intensives and Actor’s Masterclasses. SDS also offers Youth Courses. This school is definitely worth checking out. AFTT’s short courses are hands on and provide real experience in your chosen area of study and each course will provide a taste of what the AFTT Diploma offers, but in an express program. They offer 6 week courses throughout the year, 1 class a week, covering Acting Technique, Acting for Camera with a focus on Eric Morris Technique. AFTT also offer Filmmaking courses, which are great if you’re interested in work in front of, as well as behind the camera. And in our experience, understanding cinematography, sound, production design etc, makes you a better actor and a better professional when it comes to working in the film & television industry. ACA, like NIDA, is one of Australia’s leading drama schools. If you can get a place in their full time course, fantastic. However, if you are looking specifically for a short course they have plenty to offer. ACA offers a range of Skills Workshops in Acting, Screen, Voice Overs, Producing, and more. If you are a relative newcomer, or looking to extend your skills as a pathway into they’re intensive Part Time Program, a Skills Workshop with ACA is a sure-fire way to ignite your creativity. They range from 6-8 week programs, 1 class a week. 16th Street Actor’s Studio have developed a reputation as the masterclass masters. They have managed to attract some of the best acting coaches from around the world to their facilities. They offer Masterclasses, Workshops and Technique Classes with the likes of Larry Moss, Elizabeth Kemp, Ian Rickson, Les Chantery and more. Classes run for 6 weeks, 1 class a week and cover a variety of techniques, like Uta Hagen, Chubbuck, as well as Improvisation and Director’s Scene Study. Masterclasses are typically between 3 – 5 days and are much more intensive. 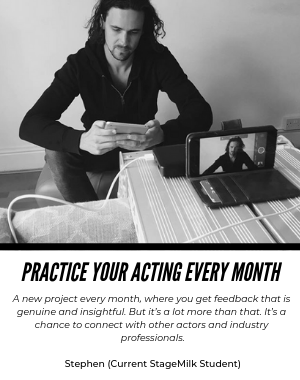 If you are looking to explore a specific area of your acting a masterclass can be a great way to go, but it’s important to be working on a weekly basis as well. A break-through alone won’t make you a better actor. Howard Fine Acting Studio offers Intensive 4 day Masterclasses, Full-Time & Part-time training, as well as 1 year Youth Courses. Your other option is an Open Access Scene Study course – this brand new course is designed for students who wish to jump straight into exploring the techniques championed by the studio. Howard Fine is an incredible acting coach and if you’re in Melbourne, we would highly recommend checking out this studio. Justin Lehmann specialises in teaching Sanford Meisner’s Repetition exercise inspired by the teachings of master teacher William Esper, coupled with his trademark ‘instrument expansion’ work known as Actor’s Core. Classes run on a term by term basis, running for 8 weeks, with either a 1 or 2 classes-per-week options. Brave Studios are a well-established film and television school offering courses in acting for television and film, TV presenting, voice, Alexander technique and auditioning workshops. Brave Studios has a range of acting workshops and courses available for aspiring actors or those who wish to develop their skills and they keep the size of classes small. The acting for film and television course is run over 3 levels – Beginner Actors Workshop and Advanced (they can advise you on which course would best suit your experience). If you’re an absolute beginner you can get a taste of what the courses involve by completing a 3 hour ‘Introduction to Acting’ Workshop. For the more experienced/professional actor, they offer Professional Acting Workshops under the direction of some of Australia’s best directors. Brave Studios also offers Voice class and Alexander Technique classes with Australia’s best coaches. Coaches that come highly recommended include Rob Meldrum, Thea McLeod & Penny McDonald. Anthony Meindl’s Actor Workshop has studios in L.A, New York, Toronto, Vancouver, and Atlanta. L.A is where Anthony teaches himself, primarily. To begin, you would audit a class (which is free) and then if you liked what you saw, undertake a 6 week intro-class, not an intro to acting, but an intro to Anthony’s way of working. It is designed to very quickly move you from an actor who “acts” into a person who learns how to embody and live feeling truthfully. After this, if you wanted to continue working at the studio, there is an ongoing weekly class program. We’d recommend working at the studio in any of the locations, AMAW has collected a wonderful group of coaches from around the world. Stella Adler Academy welcomes actors from all around the world, with no need to have previous training, to grow and foster their talent. Students can enrol Full-time, Part-time or take Individual classes. 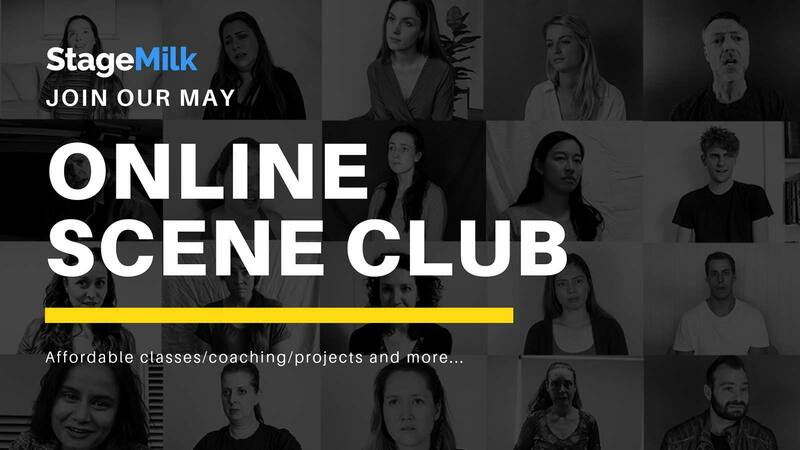 There is SO much on offer here – Adler Technique, Alexander Technique, Audition Skills, Character, Chekhov, Greek Theatre, Improvisation, Movement, Musical, Voice, On-Camera Technique, Scene Study, Script Analysis and even Theatre History. They range from 8 – 16 weeks in length, from 1-4 classes per week. What better way to spend your summer, than immersed in the Full Time or Part Time Program. The Full-Time Program consists of 4 classes: Adler Technique I, Movement I, Voice I and Improvisation. The Part-Time option consists of Technique I and your choice of up to 2 more of the other classes. Summer Term usually runs between June and Aug. From Australia? You can spend your next summer in LA, the intensive usually runs from Jan to Feb.
Another Hot Tip! – International Students – Stella Adler Academy is presently approved for the enrolment of full-time international students on the M-1 Visa by the United States Department of Homeland Security. For international students who require a student visa, the Studio issues the Form I-20 (M-1 Visa)—a two-year visa followed by up to 6 months of practical training. M-1 Students are required to be enrolled Full Time. Andrew Wood Acting Studio offers ‘The Essentials Workshop‘ – a ten-week course in acting technique and scene study. Courses meet for three hours, weekly in the evenings. In the Essentials Workshop, Andrew Wood presents a revolutionary approach to acting which involves technique, scene study and character study. EMAS is a dynamic acting training program for those who want to study the craft of acting in a challenging and inspiring environment. They are known for producing exciting and spontaneous actors, with reliable technique and professionalism. They offer classes in Meisner Technique, Scene Study, On-Camera, various workshops as well as Beginner’s classes. The summer intensive is a month-long course that meets three days a week for three hours. Designed to give actors a full exposure to the philosophies, as well as the structure of this demanding yet dynamic process of Meisner. Scene Study & On-Camera courses are 10-13 weeks long. Speiser/Sturges Acting Studio offers a few different courses, as well as the option to audit classes. Technique: for beginning and intermediate actors, with a focus on developing your instrument (concentration, imagination, relaxation) through exercises and improvisation. Scene Study I: (A bridge between Technique Class and Scene Study) Students will break down and work on a scene for 4 weeks, with focus on improv, technique and growth. Scene Study 2: Exploring the actor’s process in scenes. A more advanced scene study focusing on character and technique. Preparation is the key for this dynamic class. Students usually work every week on a new scene or monologue. Scene Study 3: Involves applying the actor’s process consistently, as well as advanced character study. This is the most advanced class for students who’ve worked up through the studio scene study classes. Students usually work every week using material from film, television and theatre. Any actor who has the privilege of studying under Anthony Abeson has unearthed a little bit of gold. His heart and mind are fully accessible and open to you from the moment you meet. Not to mention that he can read you like a script. You can book a private session with him or one of his three acting classes. To learn more check out this helpful article on Anthony here. The Barrow Group is a world-class performing arts studio serves thousands of artists, offering acting, directing, film, and playwriting classes to beginners, professionals, and teens and tweens. They offer short programs from 6-week summer intensives to weekend workshops! LST&FI offers seasonal intensives for both beginners and seasoned professionals. With a plethora of wonderful staff members, their intensives expel over four weeks in length, concentrating on a taste of “The Method” work and acting technique. All intensives have a set curriculum that push students toward a certain level of training in voice, movement, and acting, while building a basic understanding of Lee Strasberg’s work. Level 3: Advanced practice with complex scenes and exercises to help you compete and thrive as a professional actor. Actors expand their repertoire, strengthen technique, and develop reliable tools for solving challenges outside their comfort zone. Level 2: Involves breaking down the scene and building an authentic, repeatable life on stage. Actors will continue to develop skills introduced in Level 1, moving into scene work and text, and using Uta Hagen’s powerful exercises to find the character’s circumstances and give them organic life. Level 1: Whether you are starting out or wish to return to the foundations of a strong technique, the focus at this level is on presence and awareness: developing a deeper, more dynamic sensory relationship to your body, exploring your creative resources, and expanding your sense of self in relation to an array of possible circumstances. *No audition, placement or prerequisite required. The Kimball Studio offers On Camera Classes, Ballistics (improv style) as well as a 4 month course and intensives. You also have the option to Audit a class before you sign up. Susan Batson Studio founded by Susan Batson, offers classes in Movement, Ex-Er Actor, On-Camera Technique, Industry Prep, Scene Study, Improv, Speech and Accent. You can do single drop in classes, or sign up to the membership program, allowing you access to the classes on offer, and a portal to book in as you please. Additionally, there are workshops available which are on-off intensives that cover a variety of content. I’ve personally undertaken classes here and found the students are endlessly passionate and hardworking, and the coaches are incredibly generous, intuitive and inspiring. NYPAA offers a four-week foundation course—which covers acting for screen and stage, movement and voice. Though some of the classes here require an audition, the beginner level is open to all. City Academy in London offers hundreds of creative and performing arts courses for adults. They hold classes at over 40 London locations, at some of the capital’s leading arts venues. All classes are taught by industry professionals and are designed to fit around your working life, with part-time evening, weekend, and daytime courses in a wide range of subjects. Training caters for all levels – beginners to advanced. Acting classes include Screen Acting, Improvisation, Comedy, Storytelling, Alexander Technique, Stage Combat, Foundational classes, Beginners and Advanced classes. Actor’s Studio offers a Masterclass in Screen Acting, which is a 4 week Diploma Course, involving practical, camera–focused training at the world-famous Pinewood Studios. You will be taught by Actors Studio’s leading tutors, and internationally renowned industry professionals. The Studio also has classes for kids, 5 day intensives, Introductory courses, Professional Development courses, and a super affordable 1 day screen acting class. The Actor’s Centre, with a building in central London, offers a place where you can go to work, develop skills or simply take time out from the hectic day to day. The Actors Centre offers an unrivalled program of professional development opportunities for emerging as well as established actors. They offer regular toolkit workshops from Shakespeare, voice and movement through to sight-reading, screen acting and improvisation along with a range of exciting, new and evolving workshops. Head over to their website to see what’s on offer. Act Up offers short, part-time acting courses, communication training, mentoring and careers advice to actors. Creative courses range from 1 day intensives, Scene work, Workshops for professional actors and even how to create your own show. Austin-Tuck offer a wide range of classes designed to provide actors with the training techniques, tools, and the discipline to help build a successful career. Class sizes are small, the schedules are ongoing and affordable and you can browse the website to check out the alumni list as well as current working students. Classes start at the beginning of each month, and run month to month; intake is on-going. There are Introductory & Fundamentals classes for beginners, through to Advanced Masterclasses for Film & TV. Whether you’re looking to immerse yourself in an intensive acting diploma program, or brush up on your performance skills, VADA has you covered for professional acting classes in Vancouver. They have an open door policy, accepting people with various experience levels. Anyone can train here, whether you have a theatre background, are a professional actor looking to sharpen your skills, or you’re someone with no acting experience whatsoever. VADA offers a full-time diploma program, part-time certificate courses, youth acting classes and Spring/Summer camps for youth/teens. The Professional Development Program comes highly recommended, it is designed to maintain the balance between career and craft. This 3 month course, Monday and Thursday evenings covers goal management, the business, audition technique and scene study. For actors with prior training, or substantial experience, there is an ongoing scene study class, which runs for 8 weeks, once a week. So there you have it, a variety of short acting courses and classes available around the world. Keep learning, keep challenging yourself, and if you’ve trained at any of the above studios, we’d love to hear your thoughts, leave a comment below. If you are struggling to find a real world course we offer private acting coaching sessions, which are all fully online.